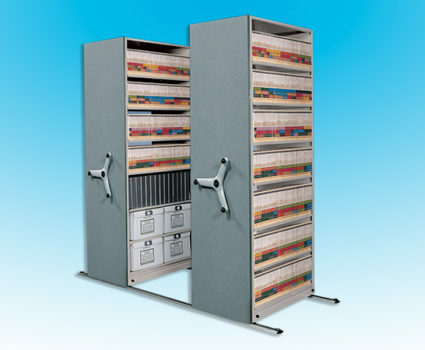 TAB’s high-density mobile systems help you store records, retail inventories, equipment, supplies and more in less space — saving you money on real estate costs. 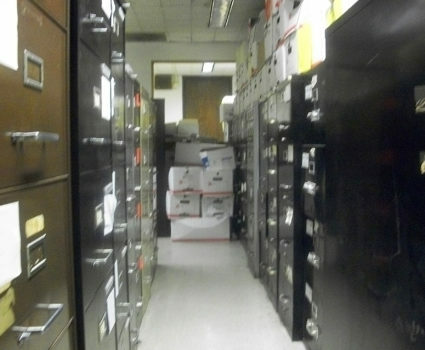 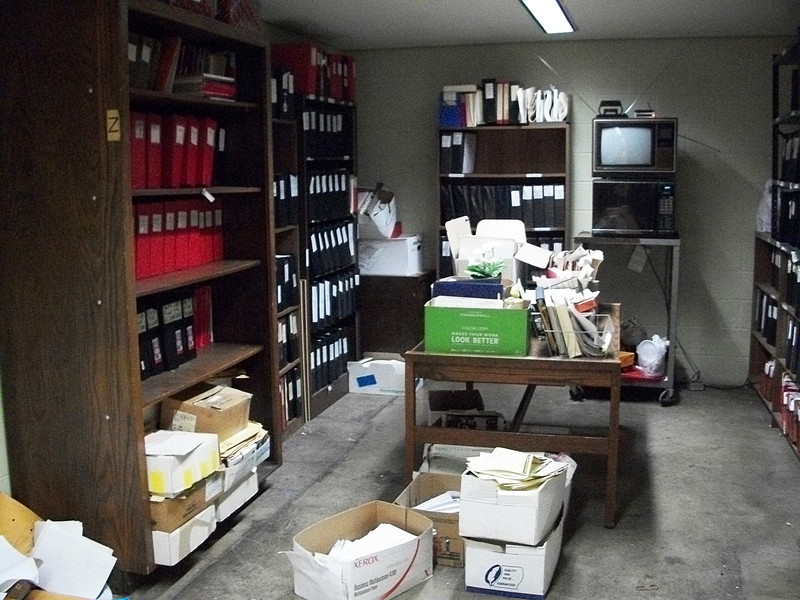 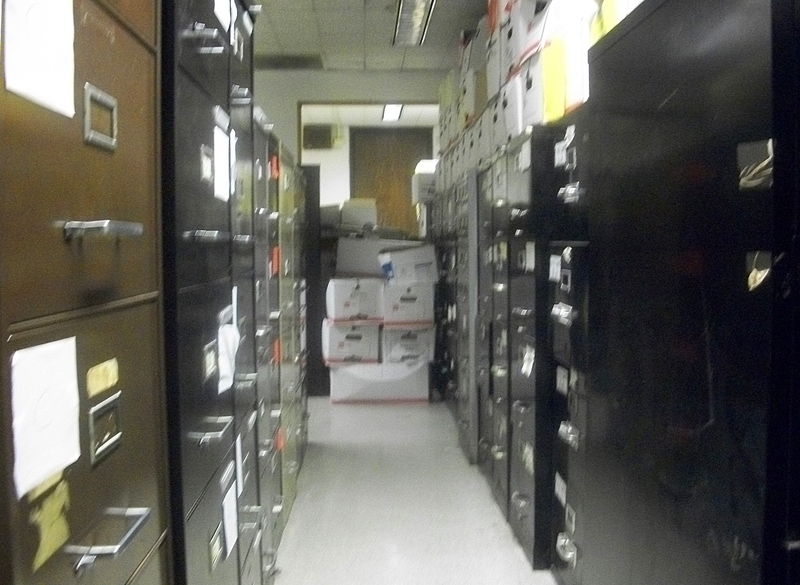 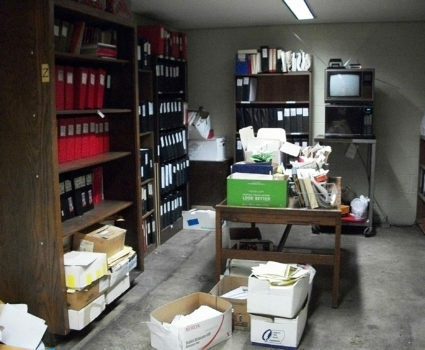 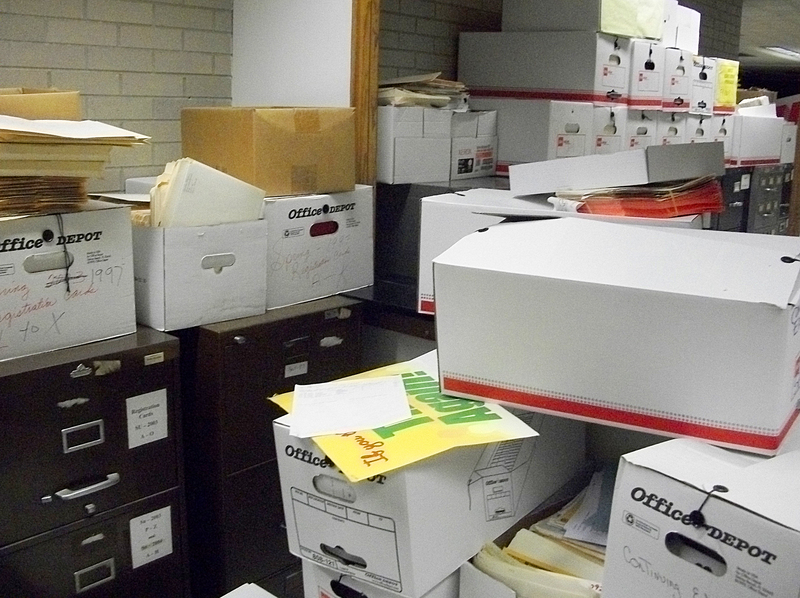 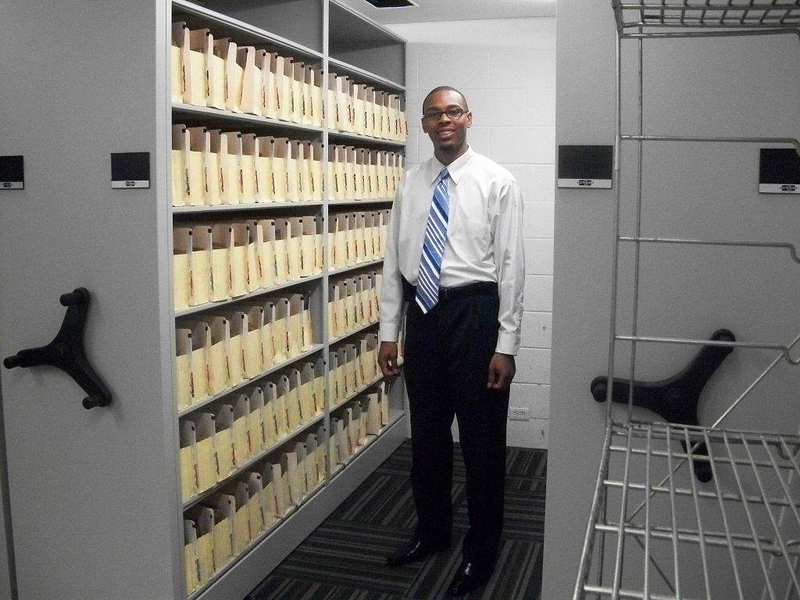 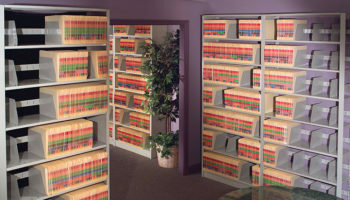 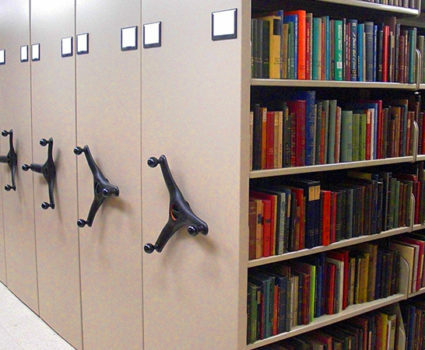 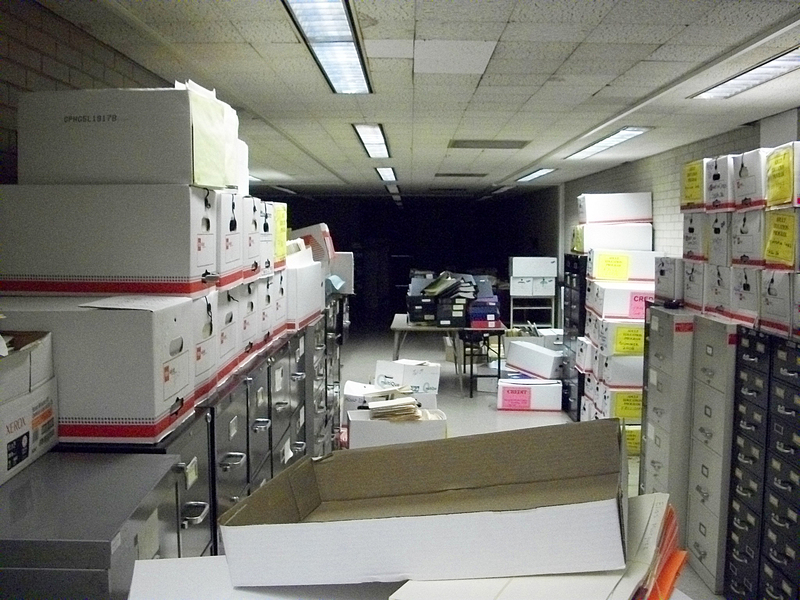 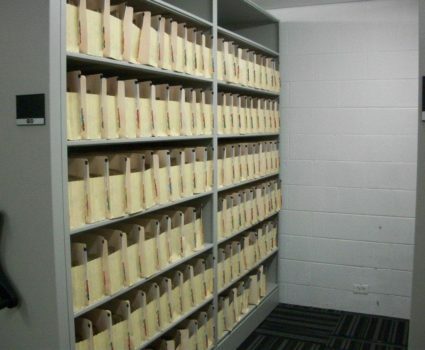 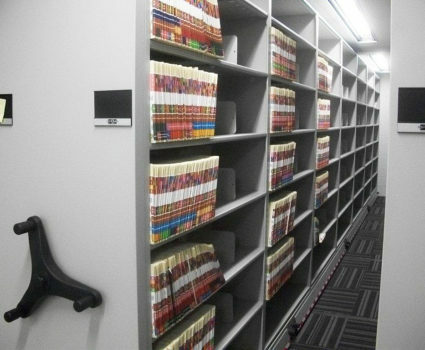 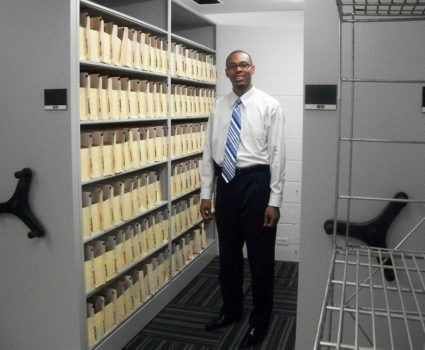 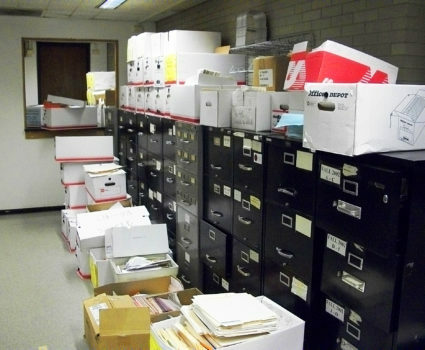 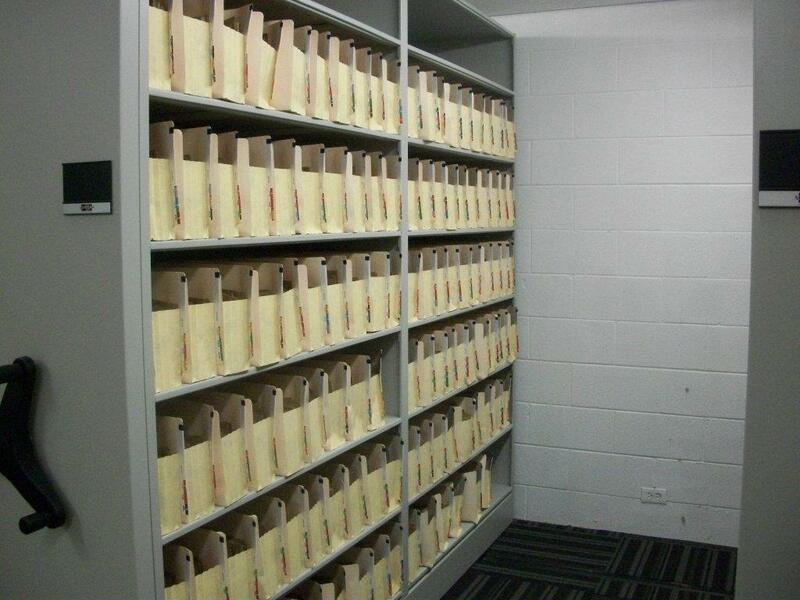 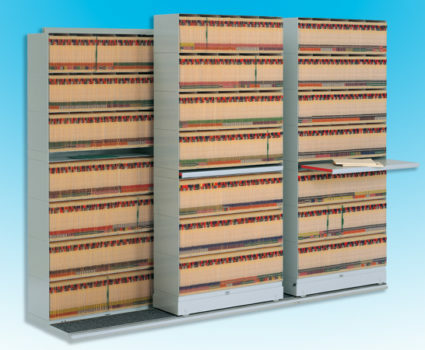 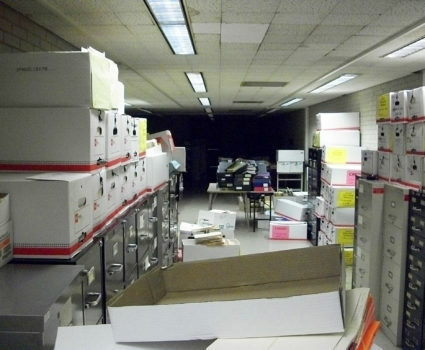 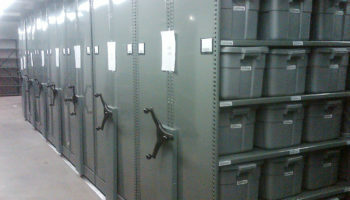 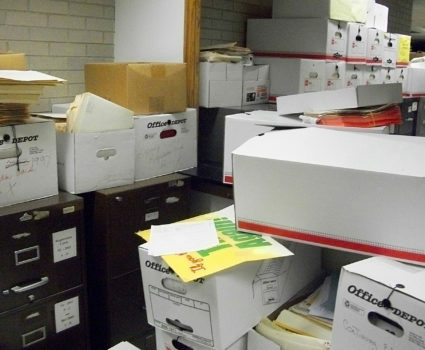 Mobile shelving offers the highest possible storage density for files, equipment, and other collections. 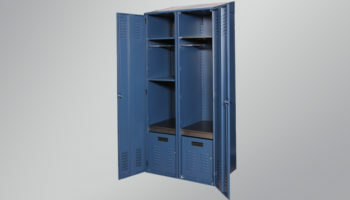 TAB mobile systems maximize space utilization by eliminating aisles and compacting several storage cabinets or shelving systems into a much smaller amount of space. 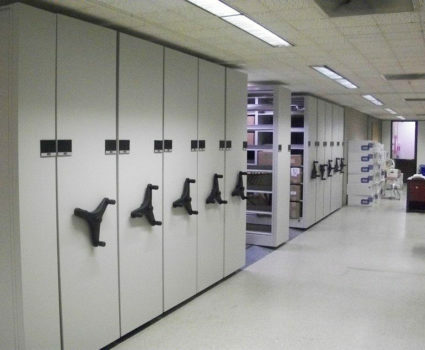 Our mobile systems are available in either manual, mechanical-assist or electrically operated styles, depending on the type and weight of collections you need to store. 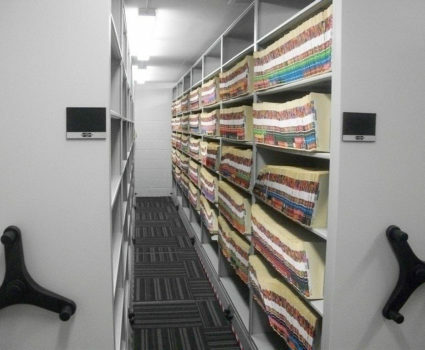 The anchorless track system of TAB’s EXPRESS-TRAC II mobile shelving system makes it easier to install a high-density mobile storage solution. 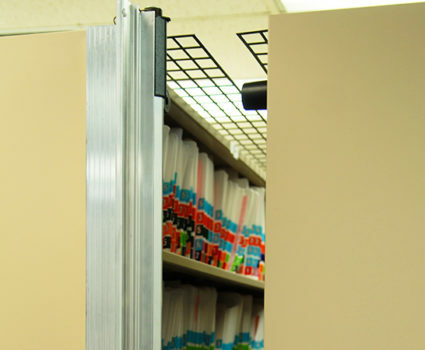 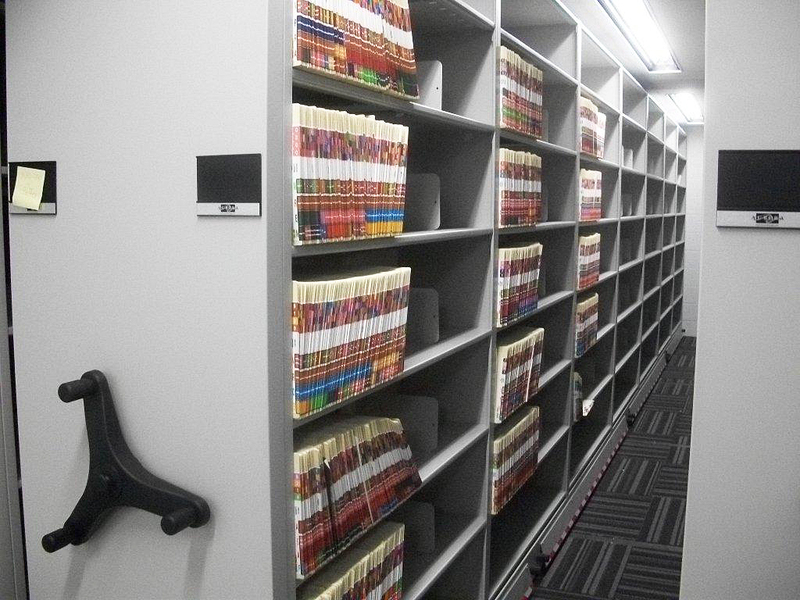 The TAB-TRAC Ultra Secure mobile shelving system includes added features that allow you to protect critical collections against frontal and overhead access. 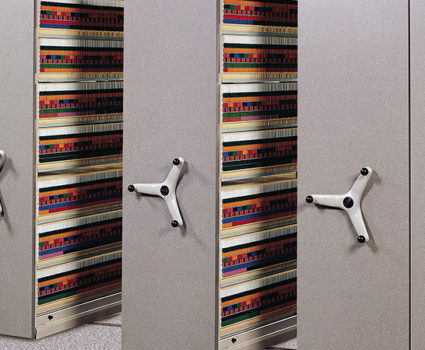 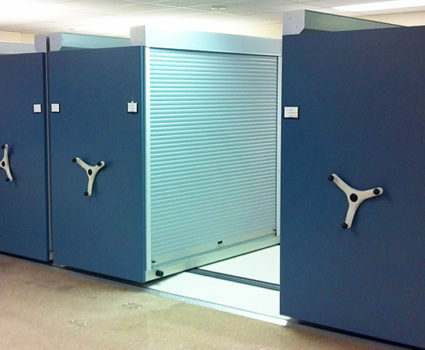 TAB Rollok Rolling Doors make any existing storage system completely secure and compliant. 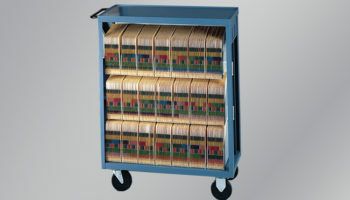 TAB-TRAC is the ideal mobile storage system when you need to efficiently and securely store a high volume of information. 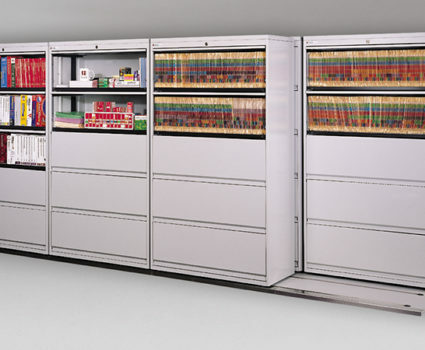 Strong, powerful and secure, TAB POWER-TRAC II mobile shelving system is ideal for storing a high volume of heavy materials, with frequent user access. 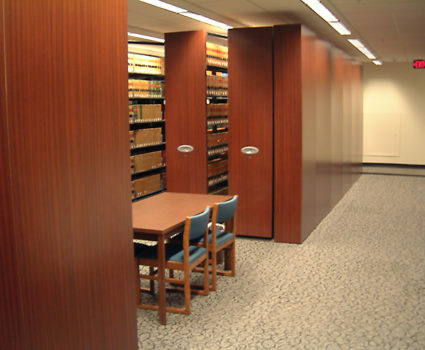 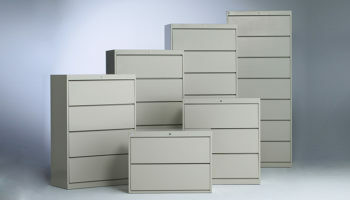 TAB SIDE-TRAC lateral mobile shelving system allows you to fit more storage cabinets into your existing space. 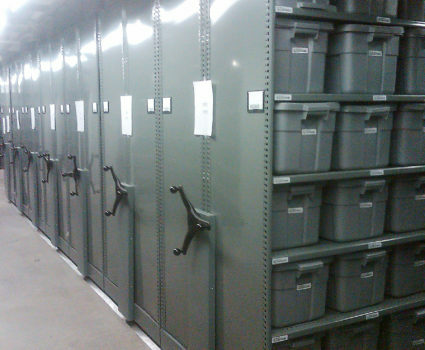 TAB’s Trax Mobile system is the ideal lateral mobile solution for high-density, decentralized storage areas. 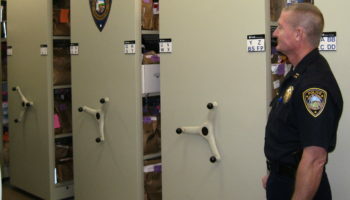 For lighter-duty applications, TAB’s Modular Mobile shelving system is a cost-effective way to store more in less space. 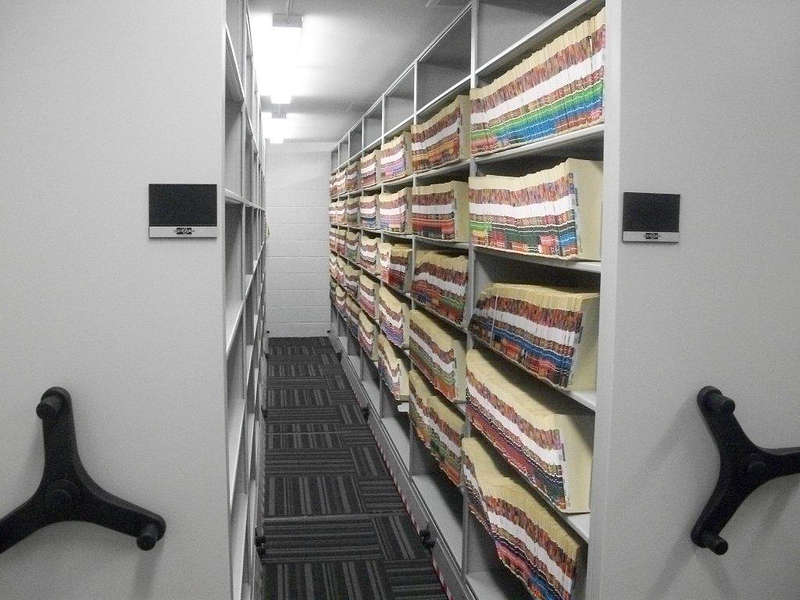 TAB’s consultants have produced a comprehensive white paper that provides you with a step by step approach to space planning using RIM principles and best practices that work at both the enterprise and the business unit level.